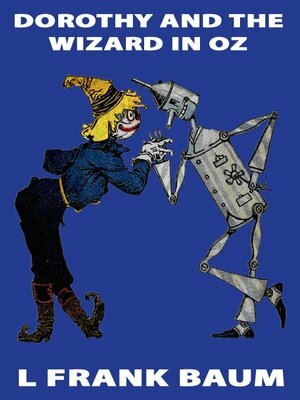 Dorothy and the Wizard of Oz is the fourth Oz book. In this story, a California earthquake sends Dorothy and her new friends—Zeb the farm boy, Jim the cab-horse, and Eureka the mischievous kitten—tumbling through a crack in the ground. Deep beneath the earth, Dorothy is reunited with her old friend the Wizard of Oz and his troupe of nine tiny piglets. Together, Dorothy, the Wizard, and their friends travel through many fantastic lands, where they encounter the Mangaboos, people growing like vegetables in the ground; cross the Valley of Voe, where dama-fruit has turned everyone invisible; and more. At last, the intrepid travelers reach Oz, where they have many unforgettable encounters with such favorites as the Scarecrow and the Tin Woodman, the Cowardly Lion and the Hungry Tiger, Princess Ozma and the wooden Sawhorse.